You are here: Home / Generation X / Whatever Happened to Pudding Pops? Gael Fashingbauer Cooper is a blogger I connected with probably two or three years ago when I first started blogging about Generation X. 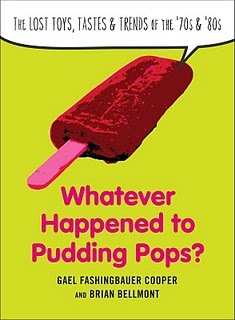 Her blog is GenXtinct and her book (along with Brian Bellmont), Whatever Happened to Pudding Pops? came out this month. It is such an accomplishment to get a book published! It may be even harder to land an interview that gets aired on National Public Radio’s All Things Considered! Gael and Brian have done both. How do you know the elephant’s been in the refrigerator? The footprints in the butter, of course. Where do cows go Saturday nights? To the mooo-vies. Corny? As Kansas in August. The knee-slappers on Dixie Riddle Cups may have been lame, but they’re the reason we all know that when you tell a mirror a joke, it cracks up—and the best way to talk to a monster is…long-distance. Sometimes Riddle Cups would show up in kitchens, where kids would have to fill up about a dozen of the thimble-sized buggers to wet their whistles. Mostly, though, they were staples in bathrooms across the country. We were supposed to use one of the tiny cups each time we brushed, but we’d often yank them all from the dispenser, quickly digest the comedy, then stack them back inside, blissfully anticipating the really awesome riddle that would pop up later in the week. At the peak of the cups’ popularity, in the ’70s, Dixie expanded the line to include Dixie Riddle Plates and Bowls. Mmm — dinner and a show. 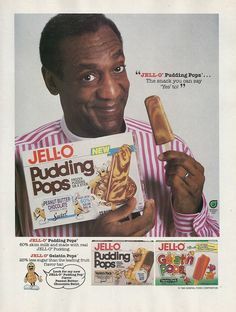 Did your mom buy you Jello Pudding Pops?